Miriam is dedicated to helping natural health enterprises achieve unparalleled success. She is author of the definitive marketing text for natural health entrepreneurs, The PEACE Process, and teaches marketing, leadership, and other practice management topics at health industry conferences and schools throughout the country. Miriam also strategizes with wellness industry leaders to help them realize remarkable levels of performance and joy in their work. 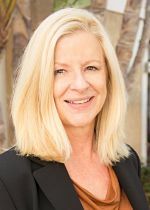 Following nearly two decades as a sales and marketing executive at high-tech giants Microsoft and Oracle Corporation, Miriam obtained credentials in holistic nutrition, sports nutrition and executive coaching and ran a thriving nutrition practice in southern California. She holds an M.S. in Human Ecology from the Ohio State University, is a certified Nutritional Therapy Consultant and is Board Certified in Holistic Nutrition®. Miriam has been an active board member of the National Association of Nutrition Professionals for more than 8 years. She is honored to now serve its members as President. Learn more about Miriam’s work by visiting www.miriamzacharias.com. 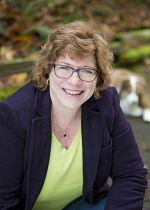 Susan Barendregt, Functional Nutritionist, BCHNTM is a graduate of the Nutrition Therapy Institute's Master Nutrition Therapist and Certified Herbal Therapist programs. In 2007, she became one of the first to be Board Certified in Holistic Nutrition® by the Holistic Nutrition Credentialing Board. She has served on NANP's board of directors since 2012 and was elected to serve as Vice President in January of 2017. Susan has advanced training in Functional Endocrinology, Neurotransmitters and the Brain, Functional Blood Chemistry and more. Combining this with her Bachelor's degree in Statistics, Susan sees one of her primary roles as helping people cut through the nonsense and noise to find real answers that work in the arena of health and nutrition. 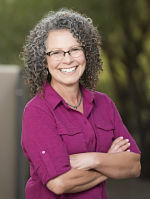 Susan works as a virtual functional nutritionist for the Chilkov Clinic and serves as adjunct professor at Portland Community College's Institute for Health Professionals. She is the creator of Balanced and Clear, a 5-week detoxification and inflammation reduction program that teaches participants how to eat for lifelong physical and mental balance and clarity. Susan maintains a virtual practice which allows her to work from her home in rural Wisconsin as well as her sometimes home in Prague, Czech Republic. More about Susan and her work at www.susancnt.com and www.balancedandclear.com. Julie Rauch, MBA, NC is a Certified Nutrition Consultant & Natural Chef graduate of Bauman College. She began her service at NANP on the executive board of the (then) Berkeley branch in 2005. She joined the national board in 2009 as treasurer before stepping into the role of president in 2012. In private practice, Julie specializes in hard to resolve health issues including: hormonal imbalances, chronic infections, and heavy metal & chemical chelation using whole food supplements. She teaches practical "no excuses" healthy eating and cooking strategies to support the health and well-being of her clients. Certified in AcuPoint Integrative Testing (AIT), Julie uses this comprehensive system to evaluate her client's unique nutritional needs and create customized supplement protocols for them without the need for laboratory testing. Julie is the nutritionist for Advance International, Inc., producer of the odorless, tasteless, marine-based Advance Protein Powder. In addition, she provides nutrition consulting services to the employees of Standard Process of Northern California. Kariman Pierce, NTP, CGP is a Nutritional Therapist and Holistic Business Mentor, group programs facilitator and speaker. Her passion for nutrition began with the desire to heal her autoimmune conditions of Celiac Disease and Hashimoto’s Thyroiditis. After “turning over every leaf” for many years and healing her own body, she shifted her focus to supporting clients to heal their autoimmune diseases and digestive issues. After practicing nutrition for 5 years, Kariman pulled in her prior career experience in business development and began prioritizing the support of heart-centered, holistic entrepreneurs as her primary business focus. Kariman helps heart-centered, holistic entrepreneurs bust through the confusion and overwhelm so that they can move forward with a clear vision and road map— creating accountability that leads to success in both life and business. She offers a holistic business mastermind group program as well as 1-to-1 Path and Purpose Mentoring services. Her vision is a world where holistic nutritionists have a defined and permanent space in the healthcare market as nutrition and lifestyle coaches who support wellness-care while providing much needed accountability, resulting in quality of life for each and every person. Kariman is the Lead Mentor of Nutritional Therapy Association’s Career Development Course. She also serves as the Secretary on the executive board of directors for the National Association of Nutrition Professionals. Kariman has a B.A. 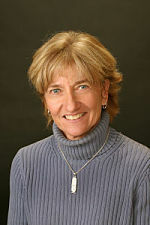 in Media Arts, is a Certified Nutritional Therapy Practitioner (NTP), Certified GAPS Practitioner, Certified Gluten Practitioner, Restorative Wellness Practitioner-Level 1, a Licensed RESTART Program Instructor and is trained in “Desired End State”, a coaching process that helps individuals and businesses gain clarity on their vision—creating a road map to success. Kariman also continues to serve “right-fit” nutrition clients in her distance nutrition practice with a focus on gluten-free living as it relates to autoimmune disease and digestive disorders. Kariman feels a strong sense of advocacy for her profession and is honored to sit on the board of the NANP and support its mission. Sarica Cernohous, L.Ac., MSTOM, BSBA is a nationally-certified practitioner of Traditional Chinese Medicine and Chinese Herbal Medicine, practicing Japanese-style acupuncture and LED Light Therapy. 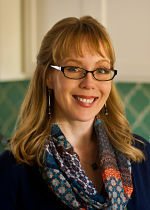 Sarica authored The Funky Kitchen, a primer on the basics of traditional food preparation, from which her online course, “Fresh, Fun and Flavorful in The Funky Kitchen” is based. She is a board member for the National Association of Nutrition Professionals (NANP), and a continuing-education provider for the NANP and the NCCAOM (Acupuncture and Oriental Medicine) through her coursework with The Funky Kitchen. With Dr. Jack Tips, Sarica co-founded the teaching platform, The Belly Garden and is a coach for Metabolic Balance of Germany. Sarica has created the LAPIS Method, a fusion of lab-based, personalized, whole-food nutrition with education of the importance of and techniques around traditional food preparation methods. She resides in northern Arizona with her husband and two children. Tammera J. Karr, Ph.D., BCHN™, CGP, CNW, CNH, is an author, public speaker, educator, researcher, and clinician. 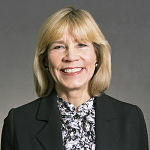 She has served as a nutrition advisor to wellness programs and presented at local, regional, and national conferences. She writes a weekly health column for a local newspaper, blogs, and reviews and contributes to national board exams. Passionate about nutrition as the key to stopping many modern illnesses, Tammera authored Our Journey With Food, in 2015 and the second edition in 2018. Tammera began actively mentoring Holistic Nutrition and Holistic Nursing Clinical Practitioners, in 2015. In 2016 she joined the adjunct faculty at Portland Community College CLIMB Center where she shares her years of knowledge with students in the Holistic Nutrition Therapy program. 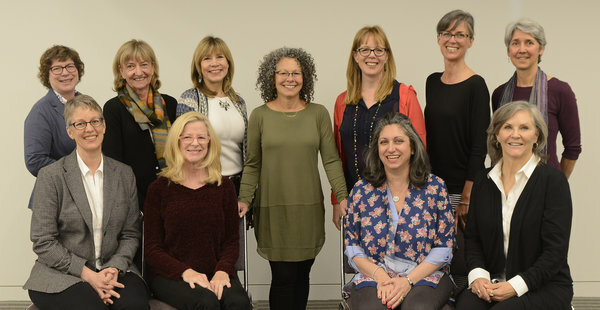 Additionally, Tammera serves on the National Association of Nutrition Professionals' Board of Directors (NANP) and organization committees and the Oregon Holistic Nurses Association Board. Over the years she has gained National Board and Advanced Certifications to expand her knowledge and effectiveness in the area of Holistic Nutrition and Integrative Health Care options. Tammera established an Integrative Medicine partnership in 2006 where she worked in a clinical setting with DO’s, FNP-C, Acupuncturists, Herbalists, ND’s and others. In 2015, Tammera changed to a virtual office model, making it possible to meet with clients with greater flexibility, time and cost savings. 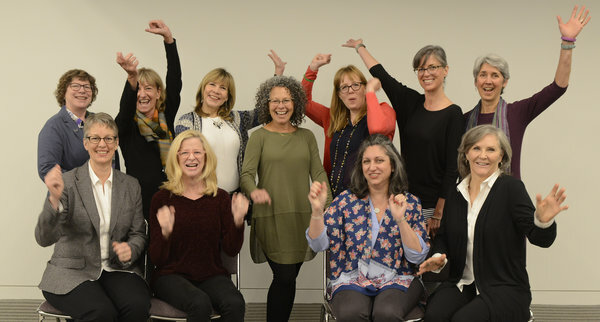 Tammera’s clinical and education practice is ever-evolving to meet the needs of clients, and fellow practitioners who wish to empower others through holistic health. A Native of Oregon, Tammera is enthusiastic about spending time outdoors. She enjoys history, cooking, canning and food preserving, and exploring in her free time. She currently resides in Southern Oregon with Husband Michael, Australian Shepard Sadie, and cat Molly. 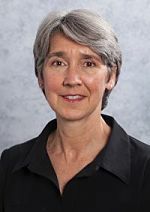 Janet Ludwig, Ph.D. has the primary goal to assist in consolidating the healthcare efforts in the United States to be more integrative. Her belief is that the first step is founded in nutrition and lifestyle. Her life has revolved around integrative healthcare working with clinicians, academicians and researchers. She has been fortunate to be in research and teaching for more than twenty years and her goal is to assist in consolidating these professionals to be more interdependent. She has the desire to educating and motivating the professionals in regards to understanding the science and its new developments and mechanisms of the nutritional and lifestyle processes for improved health. These mechanisms, which have been her focus of research, have assisted in understanding the role of nutrition influencing the intrinsic inflammatory process that may go awry and result in diseases. As an educator and researcher, she uses this experience to expand knowledge and apply new scientific developments to healthcare professionals in order to improve health. 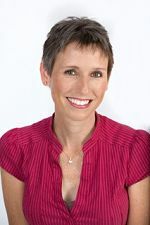 Kirstin Nussgruber CNC, EMB is a cancer nutrition expert, author and speaker. Kirstin is passionate about helping people get out of cancer overwhelm by teaching them how to reclaim their lives. A two-time cancer survivor herself she learned first-hand the importance of an integrative and functional medicine approach to one’s health to facilitate true healing. She offers personalized mentoring packages to private clients and in collaboration with functional medicine practitioners. Kirstin can be hired for speaking engagements where she advocates for a complementary approach to augment traditional cancer care, and practice proactive prevention. Kirstin is the bestselling author of Confessions of a Cancer Conqueror – My 5 Step Process to Transform Your Relationship with Cancer and creator of First Steps to Take Control of Your Cancer Care, an online self-help program for people looking for an evidence-based start to their healing journey. 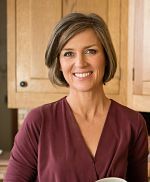 Kirstin shares her inspiring blogs and self-created recipes at www.kirstinscancercare.com, and is part of the Chilkov Clinic as well as the team at Valley Integrative Pharmacy. CC Raeside is a Functional Diagnostic Nutrition® Practitioner, combining two Masters degrees (MS in Human Nutrition and an MBA) with over 35 years of corporate business experience (including program management, strategic alliance management, and sales). Her goal is to educate and help others take control of their lives to improve their health, nutrition, and fitness effectively and efficiently, and enjoy the life they were meant to attain. Special areas of interest include functional laboratory testing, helping professional “type A” business people achieve optimal health and fitness. Julie Thenell, BS, MS, NC believes good health is as close as your kitchen. Board Certified in Holistic Nutrition®, Julie’s practice is based on nutrient-dense whole food and lifestyle choices that support health and well-being, especially during times of high stress and transitions. Her role is to educate, guide and support individuals in positioning themselves to better respond to the inevitable stressors of life. 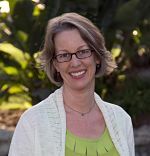 In addition to her private nutrition practice and serving on the NANP Board of Directors, Julie is a Distance Learning Instructor for Bauman College. She is proud to align herself with professionals who share the belief that nutrition and lifestyle play critical roles in health and are taking steps to make significant changes in the health of our nation. Part of Julie’s “lead by example” lifestyle includes hiking, biking, running, swimming, snowshoeing, reading, cooking and sipping tea. She is on a mission to inspire others to live a vibrant life in spite of daily stressors. Learn more by visiting jtcnutrition.com.